Artikal founder, Holly Slayton, was born in Washington D.C. and grew up in northern Virginia… read more. Jeanne Bjorn has been designing and constructing clothing, millinery, and costumes professionally… read more. Anya Caliendo is the principle owner and founder of her own label titled “Anya Caliendo… read more. A work of art that happens to be worn on your head is the best way to describe the creations… read more. 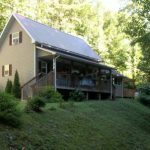 With over 40 years of sewing and design experience, 20 of those years intermittently… read more. 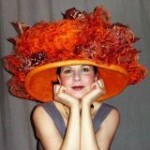 Dawn Edwards is a felt-maker/fiber artist specializing in fun, out-of-the ordinary felt hats. She… read more. 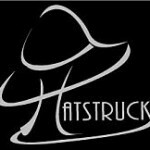 Lee Duncan, of Hatsruck Couture Millinery, is an award winning couture milliner. She… read more. This is where the magic happens. My cozy atelier is the perfect place to pull up… read more. Hello, my name is Kay. I am a native Californian, and have been in the millinery business more… read more. 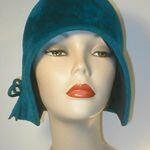 I have made my own line of fashionable hats, as well as reproductions of men and women’s vintage… read more. Learn How to Make Unique Hats With Style!… read more. Izzie has been teaching millinery for seventeen years. 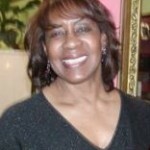 She currently teaches at the University… read more. Ruth Mills has over 30 years experience creating fine items to wear. Trained in the science and art… read more. 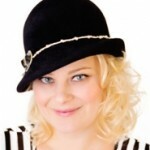 Hi, I am Monika Stebbins of Absolutelyhats. 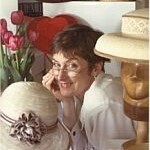 I started my millinery training in 1991 in Germany… read more. Jenny Pfanenstiel, International Award Winning Couture Milliner and Owner of Formé Millinery… read more. My name is Linda Crawford, I am the millinery designer and straw sculptress for Secret Beauty… read more. 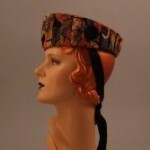 TopsyTurvy Design is a Theatrical Millinery Company based out of Oakland, California… read more. Milliner Laura Del Villaggio holds a Certificate in Millinery from New York’s Fashion Institute of Technology… read more. 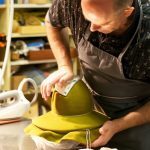 Jan Wutkowski has been making hats since 1995 and has been teaching since 1998. She teaches… read more. 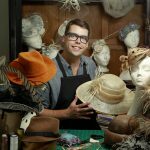 Wayne Wichern’s millinery design and teaching career … read more.